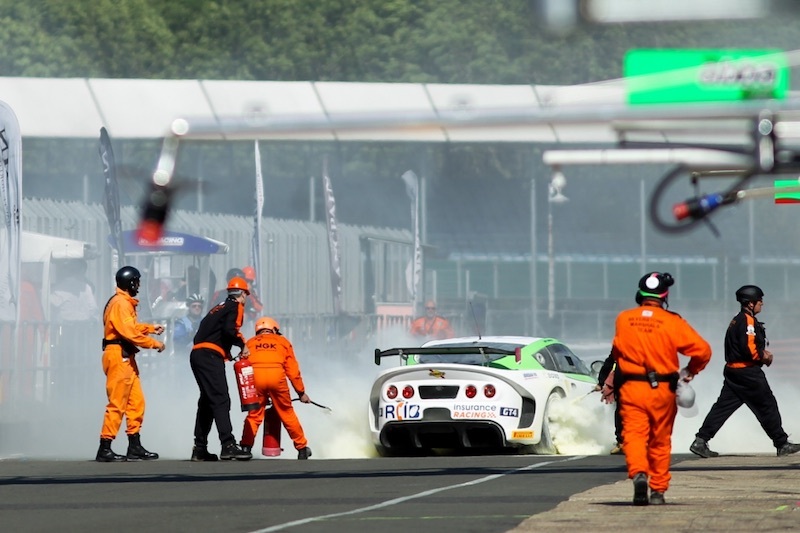 Oxford’s Matt Chapman endured a luckless outing during the latest round of the British GT Championship on home ground at Silverstone Grand Prix Circuit over the weekend, 10th/11th June, when a series of mechanical issues prevented anything like a representative showing. Frustrating for the GT4 rookie, team-mate Sam Webster and the whole Autoaid/RCIB Insurance Racing team, round six – the longest race of the season, the ‘Silverstone 500’ – turned into a character-building event with performance stymied by driveshaft failure and brake problems. Just over 15 minutes into the three-hour race, with Webster at the wheel, the driveshaft exploded on the No.63 Ginetta G55 GT4 and after being recovered back to the pits the mechanics got to work, replacing the failed unit and facilitating additional repairs. Getting the car back into the race as the clock approached the two-hour mark, Chapman ventured out for his first mileage and the team-mates subsequently completed their required three mandatory driver-change stops. Chapman was back in the car for the run to the chequered flag but brake failure just before the finish forced him to pull off the circuit with flames beginning to appear. “From free practice one, when we had a problem with the wishbone on the front left and our steering completely failed, that kind of foreshadowed what was going to be an eventful weekend”, reflected Chapman, “We’ve been chasing mechanical issues all weekend again, like at Snetterton unfortunately, and not able to show the pace Sam and I, and the car, are capable of. Despite the steering issue in opening practice, the duo went on to qualify reasonably well with Webster managing to break into the top 10 in session one with a time of 2m16.061 seconds. In session two, featuring the ‘Pro’ drivers, Chapman posted an improved 2m15.077 seconds and combining their times the team-mates claimed 13th on the grid in GT4 – sixth in the Silver class. 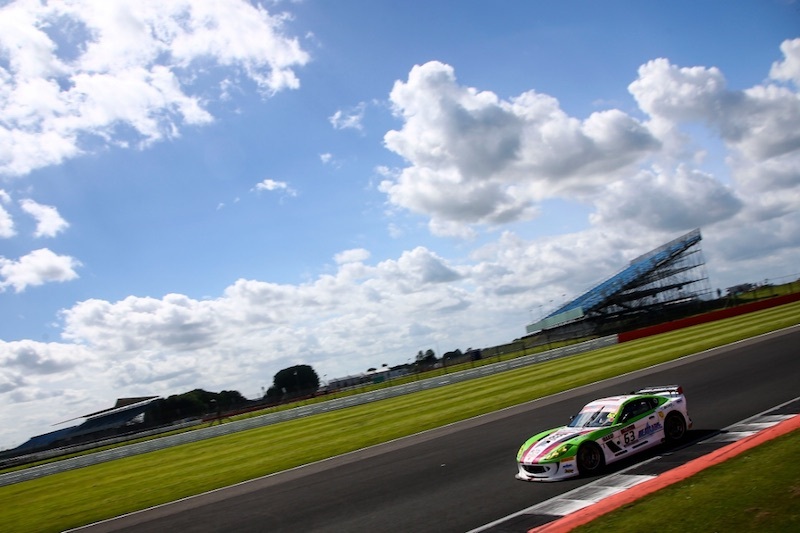 Webster did make good initial progress at the beginning of the Silverstone 500 on Sunday afternoon, rising to the fringe of the top 10, but just after the quarter of an hour mark lady luck once again deserted the No.63 crew. Now, all attention turns to the annual visit of British GT to Spa-Francorchamps in Belgium between Thursday, 6th July, and Saturday, 8th July. Chapman has enjoyed good success at Spa in the past, winning in the British GT-supporting Ginetta GT5 Challenge just last year on his debut at the track, so the Oxfordshire racer is relishing his return to the Ardennes.